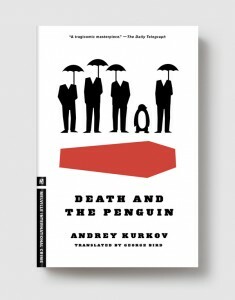 In the widely hailed prequel to Penguin Lost, aspiring writer Viktor Zolotaryov leads a down-and-out life in poverty-and-violence-wracked Kiev—he’s out of work and his only friend is a penguin, Misha, that he rescued when the local zoo started getting rid of animals. Even more nerve-wracking: a local mobster has taken a shine to Misha and wants to keep borrowing him for events. But Viktor thinks he’s finally caught a break when he lands a well-paying job at the Kiev newspaper writing “living obituaries” of local dignitaries—articles to be filed for use when the time comes. The only thing is, it seems the time always comes as soon as Viktor writes the article. Slowly understanding that his own life may be in jeopardy, Viktor also realizes that the only thing that might be keeping him alive is his penguin. 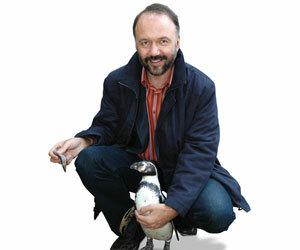 GEORGE BIRD has translated extensively from German and Russian. In 1986 he won the Pluto Crime Prize for his novel Death in Leningrad.